One of the best things about PDF documents is that they can be easily viewed on any platform, and the formatting will be preserved so they look exactly the same. However as much as it is easy to view PDFs, the same cannot be said of editing them – and many people often have difficulty on that front. The main problem with editing PDFs is the fact that finding the right software can be frustrating. While there are free editors out there they tend to be very limited in terms of features, and more advanced editors are expensive and complicated. If you’re looking for an editor that is somewhere in the middle, you may want to turn to Movavi PDF Editor. One of the first things that you’re likely to notice about Movavi PDF Editor is its simple and clean user interface. It uses a tab-based structure that places each open document in its own tab and makes it easy to switch between documents while editing them. All of the tools that you need to edit your documents can be accessed quickly and easily in Movavi PDF Editor’s interface, and they are designed to be intuitive. It has practically no learning curve to speak of, and you should be able to quickly familiarize yourself with both its interface and features. In short Movavi PDF Editor will let you easily edit your PDF documents without having to jump through any hoops. Open any standard PDF documents as well as images in JPG or PNG format. Manage the pages of PDF documents by adding new pages, removing unwanted pages, or rearranging the sequence they are in. Extract specific pages from a PDF document and save it as a separate file. Merge separate PDF documents into a single document. Add JPG or PNG images to PDF documents and customize their position and size. Save PDF pages as images, or conversely save images as PDF pages. Although that may not seem like a lot to work with, it will surprise you just how much you’re able to do with the features in Movavi PDF Editor. In particular it will allow you to manage PDF documents more easily, and spin off content from them or append additional pages to them. If you want you could even export projects from Word, Excel, Photoshop or AutoCAD as PDFs and merge them with your documents. 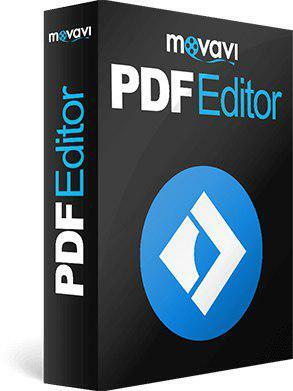 All in all Movavi PDF Editor is a great tool if you want to be able to edit, manage, and customize your PDF documents. The fact that it will provide you with an easy way to edit your PDFs makes it ideal, and it should address most of your needs and open up new options in terms of how you handle PDF documents.